Hosted by the organizers of CHINACOAT, the 16th CHINACOAT Conference was held successfully on December 3-4, 2018 at Shangri-la Hotel Guangzhou, P.R. China. 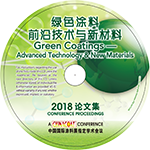 During the 1.5-day event, an array of speakers across the globe carried through on the theme 'Green Coatings - Advanced Technology & New Materials', provoking about 58 delegates to expand their understanding on advanced, innovative technologies and newly developed materials for Green. 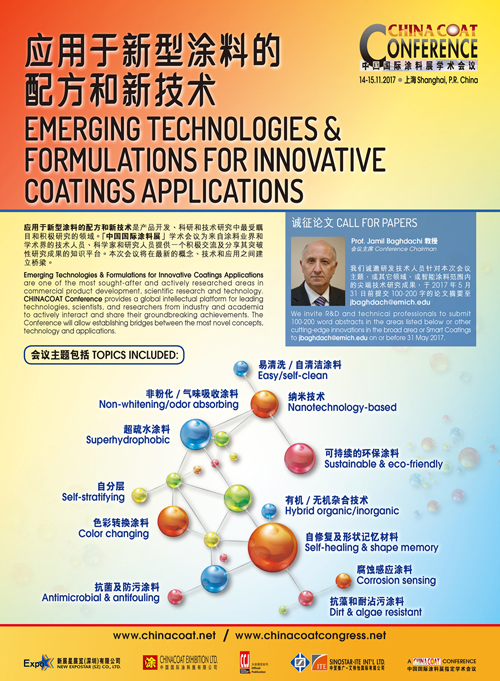 A total of 12 technical papers were delivered, including 2 Keynote Papers, "Ultra-Low Temperature Curable Powder Coatings for Wood: VOC-free Technology Below the Boiling Point of Water" by Prof. Rolf Van Benthem from Eindhoven University of Technology, The Netherlands and "Underwater Self-Healing Polymer" by Prof. Ming Qiu Zhang from Materials Science Institute of Sun Yat-sen (Zhongshan) University, Guangzhou, China. Prof. Benthem demonstrated how semi-crystallinity of the resin/crosslinker system, in combination with peroxide initiation, is able to meet the challenges in "powder coating paradigm triangle", provided a new insight on applying powder coatings on all types of solid wood and other highly heat sensitive substrates. 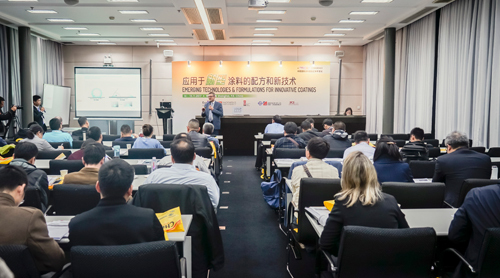 Prof. Zhang introduced innovative design of underwater self-healing polymer structure and its working principle to solve the damage in structural polymeric materials in shipbuilding, offshore and tissue engineering (scaffolds). Majority of the audience came from mainland China (78%), while others were from the USA, Australia, Germany, Japan, Singapore, Taiwan Region and Hong Kong SAR. 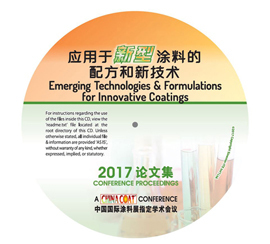 Emerging Technologies & Formulations for Innovative Coatings Applications are the most sought-after and actively researched areas in commercial product development, scientific research and technology. 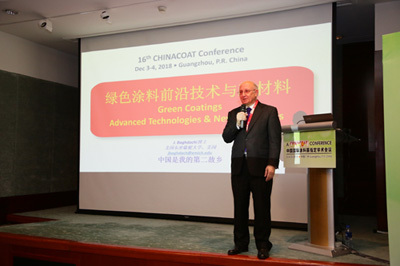 CHINACOAT Conference provides a global intellectual platform for leading technologists, scientists, and researchers from industry and academia to actively interact and share their groundbreaking achievements. 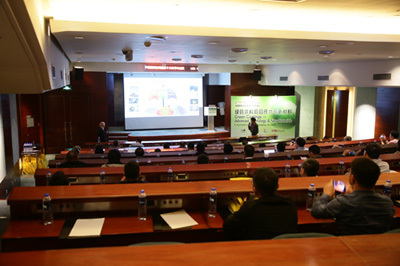 The Conference will establish bridges between the most novel concepts, technology and applications.